Mo Gold and Arthur Birdwell aka Birdie, are fish out of water. Mo—Jewish and sardonic. Birdie—Black, thoughtful and gargantuan. Private detectives. Henry Turner disappeared eight years ago. Without a trace. His mother wants him back. Mo and Birdie try to find him. They search high and low. Mo has family issues. His brother, Eli, is a rotten gambler. He’s in hock to John Fat Gai—the city’s most notorious gangster. Mo and Birdie need to find John’s missing money. If they do, John will free Eli. If not, Eli is toast. They’ve got three days. Mo’s father, Jake, is in prison on a manslaughter beef. Jake and Mo have an acrimonious relationship. After all, Mo worked as a homicide cop while Jake plied his criminal trade. When Jake breaks out of the Don jail, all hell breaks loose. Cops and gangsters chase after him. Two women, Adele Rosewell and Evelyn Scott, beguile Mo. His heart and body suffer. The city is known as Toronto the Good. Mo never sees that side. 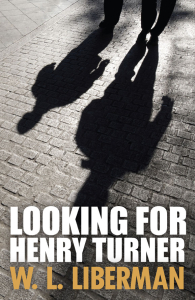 Looking for Henry Turner is now being distributed by Creativia Publishers. If you are interested, you can purchase it from Amazon.